It’s fun to tell stories , travel and learn about other times. Rosemarie’s latest work, Forever Loving, is a Christian, Historical, Romance novel. In 1775 the Colonies are war torn in The Revolutionary War and the protagonist, Eighteen-year-old Elizabeth Compton, is torn too. Her convictions as a Tory holds her loyal to King George, but the man she loves is a Patriot and is ready to fight for liberty. Must she stay with her aristocrat Tory family? Or should she marry Patriot Matthew Ellis, a common farmer? “Elizabeth lay quietly thinking. Now she was a wife and papa and mama couldn’t change it. Love, death, grief and escape to Canada as well as adventures in St. Brunswick and Quebec City are part of the story. The book loosely based on a true story, makes for an exciting tale. Rosemarie Malroy, married to a forester, has lived in different places in the USA, from isolated country to Washington D. C. Her cousins, Walter and Peggy Johnson, traveled with her to Canada to follow the steps of her characters in her novel, Forever Loving. 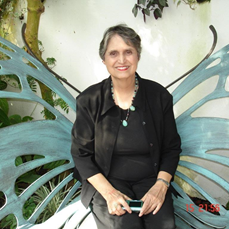 She has published many articles, short stories, poems and one nonfiction book, Spiritually Widowed Wives. Receiving the Donna Goodrich award twice for helping writers, she, with Jewell Johnson, are founders of the Fountain Hills Christian Writer’s Group. Because of her articles in the Presbyterian Guardian, she was chosen to be interviewed and included in a historical book, Choosing the Good Portion, Women of the Orthodox Presbyterian Church, published in 2016.